A rolling submission of an FDA new drug application (NDA) has been completed for selinexor for the treatment of patients with penta-refractory multiple myeloma, according to Karyopharm Therapeutics, the manufacturer of the XPO1 inhibitor. The NDA is based on results from part 2 of the phase IIb STORM trial, in which selinexor induced an overall response rate (ORR) of 25.4% in patients with penta-refractory multiple myeloma. The responses included 2 stringent complete responses, both of which were minimal residual disease–negative, as well as 29 partial responses (PRs) or very good partial responses (VGPRs). The median duration of response was 4.4 months. Previously reported data from part I of the study showed that selinexor achieved an ORR of 20.5% in 78 patients with quad- or penta-refractory myeloma. The FDA previously granted selinexor both orphan drug and fast track status in this setting, designations intended to expedite the development and review of investigational agents for patient populations with an unmet medical need. 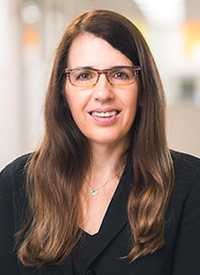 “There is a substantial urgency for new therapies with novel mechanisms for patients with highly resistant, penta-refractory myeloma,” Sharon Shacham, PhD, MBA, founder, president and chief scientific officer of Karyopharm, said in a statement. “The completion of our first NDA submission marks a significant achievement for Karyopharm and brings oral selinexor one step closer to these patients. We are sincerely grateful to the patients, caregivers and investigators that have contributed to the selinexor program to date, the Agency for working with us with a sense of urgency and support, and to the entire Karyopharm team for their inexhaustible professionalism and dedication to advancing this NDA,” added Shacham. Karyopharm intends to present full data from the phase IIb STORM trial at an upcoming oncology conference. The 122 penta-refractory myeloma patients in part 2 of the STORM trial were treated with 80 mg of selinexor twice weekly combined with 20 mg of low-dose dexamethasone. Results from part 1 of the STORM study were presented at the 2016 ASH Annual Meeting. In 48 patients with quad-refractory disease, the ORR was 20.8% (n = 10), and in 30 patients with “penta-refractory” disease, the ORR was 20% (n = 6). In the overall population, the median progression-free survival (PFS) and overall survival (OS) were 2.3 and 9.3 months, respectively. In the multicenter, single-arm phase IIb STORM trial, 79 patients with heavily pretreated relapsed/refractory multiple myeloma (median of 7 prior treatment regimens) received 80 mg of oral selinexor plus 20 mg of oral dexamethasone twice weekly. Over each 4-week cycle, patients were dosed continuously (8 doses/cycle), or 3 weeks on and 1 week off (6 doses/cycle). The primary endpoint was ORR. Sixty-one percent of patients (n = 48) were quad-refractory, meaning they had received the PIs bortezomib and carfilzomib, as well as the IMiDs lenalidomide and pomalidomide. Thirty-nine percent of patients (n = 31) were penta-refractory, meaning they were also refractory to an anti-CD38 agent, such as daratumumab or isatuximab. In the quad-refractory group, the median age was 62 years (range, 41-78), the median number of prior regimens was 7 (range, 3-16), and the median duration from diagnosis was 4 years (range, 1-6). Eighty-three percent of patients received the 6-dose regimen and 17% of patients received the 8-dose regimen. Among the penta-refractory cohort, the median age was 68 years (range, 34-78), the median number of prior regimens was 7 (range, 5-17), and the median duration from diagnosis was 4 years (range, <1-35). Thirty-five percent of patients received the 6-dose regimen and 65% of patients received the 8-dose regimen. The clinical benefit rate (CBR; defined as VGPR + PR + minor response [MR]) was 33% in the overall population. The VGPR, PR, and MR rates were 5%, 15%, and 13%, respectively. The stable disease (SD) and progressive disease (PD) rates were 35% and 12%, respectively. In quad-refractory patients the CBR was 29%, comprising VGPR, PR, and MR, rates of 4%, 17%, and 8%, respectively. The SD and PD rates were 44% and 8%, respectively. In penta-refractory patients, the CBR was 40%, comprising VGPR, PR, and MR rates of 7%, 13%, and 20%, respectively. The SD and PD rates were 20% and 17%, respectively. Among patients receiving the 6-dose regimen, the ORR was 20%. The CBR was 29%, comprising VGPR, PR, and MR rates of 6%, 14%, and 10%, respectively. The SD and PD rates were 41% and 8%, respectively. In those receiving the 8-dose regimen, the ORR was 22%. The CBR was 41%, comprising VGPR, PR, and MR rates of 4%, 19%, and 19%, respectively. The SD and PD rates were 22% and 19%, respectively. In patients with del(17p), the ORR 38%. The CBR was 63%, comprising VGPR, PR, and MR rates of 13%, 25%, and 25%, respectively. The SD and PD rates were 25% and 13%, respectively. The median time to response was 1 month and the median duration of response was 5 months. Among patients who achieved at least an MR, the median OS was not reached and the median PFS was 5.5 months. The most common all-grade adverse events (AEs) included nausea (73%), thrombocytopenia (73%), fatigue (63%), anorexia (49%), anemia (49%), vomiting (44%), diarrhea (43%), hyponatremia (42%), weight loss (33%), leukopenia (32%), neutropenia (24%), lymphopenia (14%), dehydration (11%), and dysgeusia (11%). Grade 3 AEs occurring at the highest rates included anemia (27%), thrombocytopenia (25%), hyponatremia (22%), fatigue (15%), and leukopenia (13%). Grade 4 AEs included thrombocytopenia (34%), neutropenia (6%), anemia (1%), leukopenia (1%), and lymphopenia (1%). Selinexor dose modifications included interruptions, reductions, and discontinuations in 52%, 37%, and 18% of patients, respectively. Selinexor inhibits XPO1, levels of which cancer cells increase in order to transfer tumor-suppressor proteins out of the nucleus, leading to inactivation of these cancer-fighting proteins. High levels of XPO1 also promote production of oncoproteins that fuel the growth of the tumor. Selinexor’s mechanism of blocking XPO1, limiting the production of oncoproteins, and preventing the transfer of tumor-suppressor proteins out of the nucleus has emerged as a promising strategy. The ongoing phase III BOSTON trial (NCT03110562) is randomizing patients to a triplet combination of selinexor, bortezomib, and the dexamethasone versus a combination of bortezomib and dexamethasone in patients with relapse/refractory multiple myeloma who have received 1 to 3 prior anti–multiple myeloma regimens. Vogl DT, Dingli D, Cornell RF, et al. Selinexor and low dose dexamethasone (Sd) in patients with lenalidomide, pomalidomide, bortezomib, carfilzomib and anti-CD38 Ab refractory multiple myeloma (MM): STORM study. Presented at: 58th American Society of Hematology Annual Meeting; San Diego, CA; December 3-6, 2016. Abstract 491.